At around 2 p.m. on March 15, 2019, the deadliest mass shooting in modern New Zealand history shocked the world. 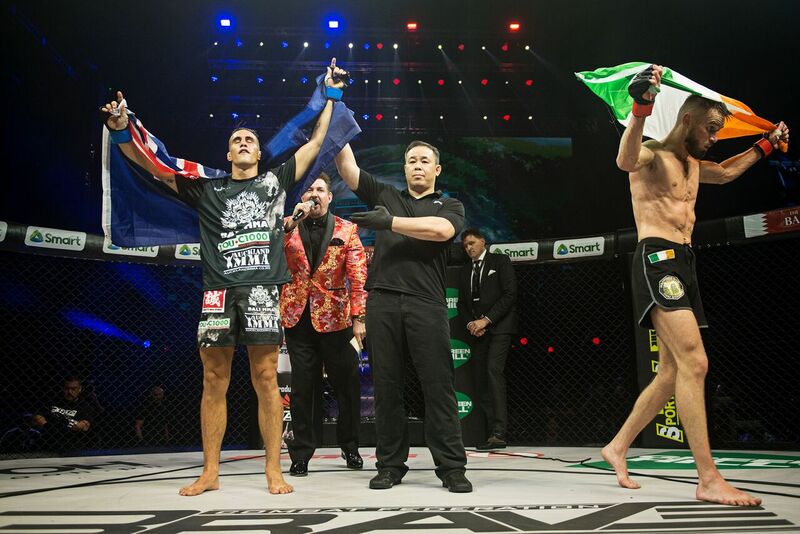 At around 10 p.m. on the same day, mixed martial artist John “Trouble” Brewin, 24, of Auckland, New Zealand earned his third victory in Bahrain-based mixed martial arts promotion Brave Combat Federation. In approximately 15 minutes, at least 50 people were killed in mosque attacks at the Al Noor Mosque and the Linwood Islamic Centre in Christchurch, New Zealand. Australian man and white supremacist Brenton Harris Tarrant, 28, was named the suspect. Brewin was carrying this horrific news from his home country when he competed in the co-main event of “Brave 22: Storm of Warriors” at the SM Mall of Asia Arena in Pasay City, Metro Manila, Philippines. He faced Cian “The Warrior” Cowley, 25, of Dublin, Ireland. While Brewin is training out of Bali MMA, Cowley is training out Straight Blast Gym Ireland. A very even match saw the Kiwi contender take a razor-thin decision over his Irish opponent. In the first round, Cowley was able to connect well with hard leg kicks. But Brewin adjusted for the second and third frames, investing in the clinch and tiring his Irish opponent with pressure from his wrestling. Eight countries were represented at “Brave 22: Storm of Warriors.” Brewin and Cowley were the sole representatives of New Zealand and Ireland, respectively.